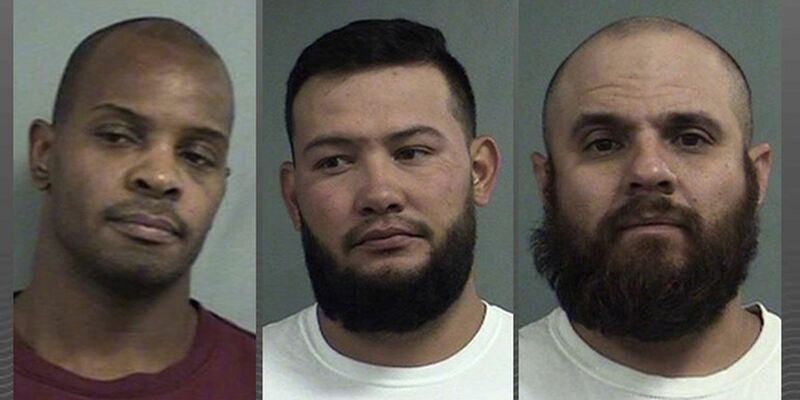 LOUISVILLE, KY (WAVE) - Three men involved in a federal investigation were arrested by Kentucky State Police and Louisville Metro Police Department officers. According to a police report, Martin Lopez, 43, of Texas, and Ivan Rios-Bustillos, 31, of Mexico, delivered a large package of cocaine to Daniel Sterling, 42, of Louisville, in Louisville on Dec 6. The arrests are part of an ongoing federal investigation. Federal charges are pending in the next few days.